Much of what we know about the life and religion of ancient Egypt comes either from the contents of tombs or from the tombs themselves, especially where the walls are decorated with scenes of daily life, the afterlife and the gods. 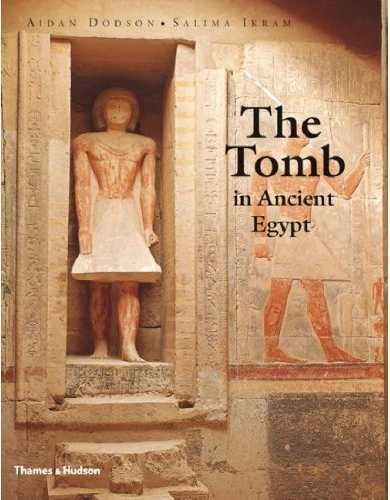 Tackling the subject of tombs and their development over three thousand years or more, and including private as well as royal tombs must have seemed a daunting task and been a monumental undertaking, but the authors have produced what is the first book to provide such a full account. Not surprisingly, it is not a small book and its 368 pages are packed full of information and illustrations. Preliminary chapters look in some detail at “Egyptian Mortuary Beliefs and the Nature of the Tomb”, “The Tomb and Society”, “Construction and Decoration” and “The Study of the Egyptian Tomb”. All the chapters are illustrated with maps, plans, drawings and photographs. There are many archive images made by early explorers and archaeologists, some of which I have not seen before; for example, a splendid line drawing of the Tomb Chapel of Nefermaat at Meidum, before it was demolished and the reliefs scattered around many museums. A chapter looks in more detail at tomb decoration and there then follows a series of chapters looking at the chronological development of tombs from the Predynastic and Early Dynastic Periods through to the Late and Graeco-Roman periods. There really is a wealth of information here and it is very up-to-date. It was nice to see, for example, a drawing showing the reconstruction of the tomb of Khnumhotep at Dahshur. Dating to the Twelfth Dynasty, this tomb has been excavated over recent years. The fragmentary architectural remains have allowed a full reconstruction, on paper at least, to be made, and it is a remarkable and elaborate structure. Many of the tombs described and illustrated are ones that it is possible to visit, but many are included that are closed to the public. We may all know the finely decorated Old Kingdom tomb chapels at Saqqara, such as those of Mereruka, but what is often not known is that the burial chamber of this, and many other tombs were also decorated, and photographs of them are included. The authors list all the tombs that are know to have decorated burial chambers, for this and other periods and sites too. From the many plans, it is possible to see how tombs developed, and this is especially true of the royal tombs in the Valley of the Kings. It is really useful to be able to see and compare photographs and plans of the tombs from all over Egypt. 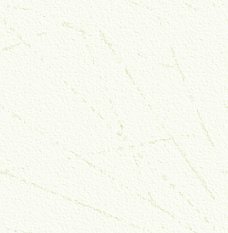 There is an extremely useful list of all the principal burial sites in Egypt, with an indication of the dates of tombs contained in them, along with general maps of many of the sites. 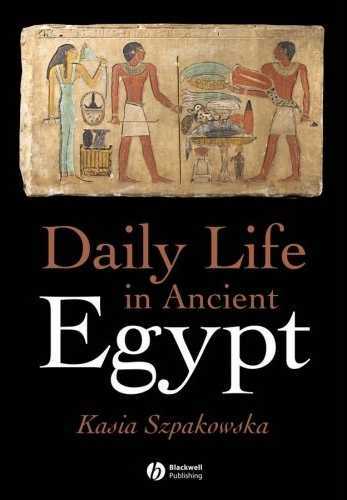 If you want just one book on Egyptian tombs, then this really is the one to have and probably the only one that many people will need. It is ideal for students on the subject, but it is easy to read and informative and so will appeal to more general readers too. If anyone does want to find out more, then there is a substantial bibliography. If I had one criticism, it would be that I would have liked to have seen more colour illustrations; but this is a book full of information and black-and-white photos. still provide that, whilst keeping the cost of the book down. 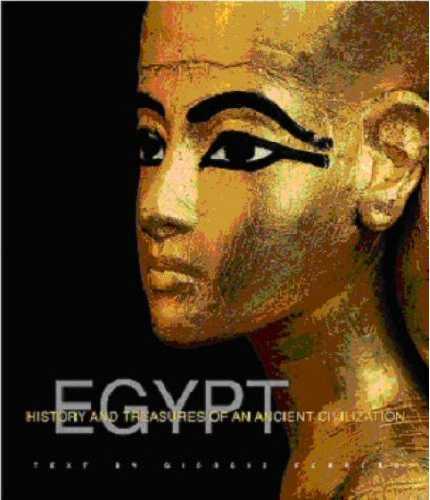 This is a book that is highly recommended and deserving a place in everyone’s Egyptology library. It is a book that will be, I am sure, referred to time and time again. Published by Thames and Hudson, 2008. ISBN 978 0 500 051399. The author looks at the early years of infants, at the food they ate and the toys they made and played with, bringing the many objects in museum cases seemingly to life. One type of pot for example, with a pinched spout, was probably used to give liquids to babies. Chapters examine ‘Learning, Earning and Leisure’, ‘Religion’, ‘Sickness’, ‘Death’ and ‘Love’ (although I am not sure why ‘Death’ is not the last chapter). ISBN 978 1 4051 1856 9. 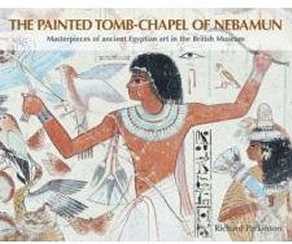 Amongst the Egyptian treasures in the British Museum are eleven sections of wall paintings from the Tomb of Nebamun. Removed from display many years ago because of the building work in the museum and a reorganisation of the upper Egyptian galleries, the paintings have been carefully conserved and remounted. In the process they have been studied in more detail than ever before and much has been learnt about them. Originally displayed as separate scenes in wooden frames, we now know that many of the paintings are actually part of a larger scenes and some can even be joined together. More fragments of paintings from the same tomb have also been identified in other museum collections and they are all brought together in photographic form in this book. All this is explained in this superb new book, which fully publishes these scenes for the first time. The first chapters look at the discovery of the paintings and their history within the museum. 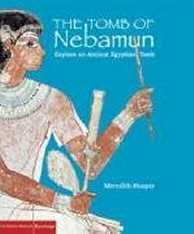 The exact location of the Theban Tomb of Nebamun is not known, but by looking at other contemporary tomb chapels in the Theban area much can be learnt about them. A chapter looks at the work that has been done to conserve the paintings, before looking at all the paintings in great detail. This book is a delight and the superb colour illustrations show these truly amazing paintings in all their glory and fine detail. The paintings themselves speak volumes, for they are amongst the finest, if not the finest, paintings to survive from ancient Egypt. The skills of the artist (or artists) and the attention to fine detail is remarkable, as indeed is the skill of those who have conserved the paintings and made them ready for re-display in the museum. The excellent accompanying text explains the scenes and their historical, religious and social context. This is a book not to be missed. Published by The British Museum Press, 2008. ISBN 978 0 7141 1979 3. And ... a special publication on the paintings has been produced for younger readers: This is an abbreviated version of the main publication, but still superbly illustrated with all the scenes and much information on how and why the paintings were created. An ideal book for the young enthusiast. ISBN 978 0 7141 3124 5. Whilst many people visit Egypt primarily to see the ancient Egyptian antiquities, anyone spending some time in Cairo is likely to visit at least one or two of the great Islamic monuments, many of which date to the tome of the Mamluks (a period which runs from1250 to 1517 AD). This large-format book gives a splendid introduction and overview of the many surviving buildings and, in the introductory chapters, puts them in their historical and cultural context. Too large to use a guide book and to take with you, this is, however, definitely a book to read either before you visit the monuments, or after you have done so. The intricacies and evolution of Mamluk architecture are explained and the surviving buildings are studied in chronological order. There are some splendid buildings included in this volume: mosques, madrassas, mausoleums and funerary complexes. Many are unprepossessing from the outside, but contain rich and elaborate decoration on their interiors. Others have much carved detail on the outside, with domes covered in intricate patterns. Other buildings are in ruins and await restoration. 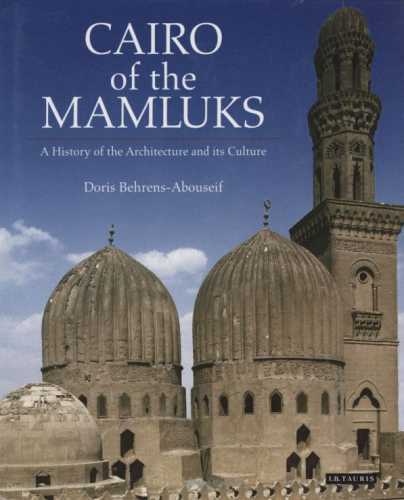 Fully illustrated with photographs, line drawings, plans and cut-away views of some of the buildings, this book will appeal to anyone interested in architecture, but it will also serve as an inspiration to many to seek out some of the monuments when visiting Cairo. Published by I.B. Tauris, 2007. ISBN 978 1 84511 549 4. White Star have produced a number of stunning books on Egypt over recent years on a wide range of subjects and places, such as the Treasures of the Egyptian Museum in Cairo, the Treasures of Tutankhamun, Abu Simbel, The Pyramids and Rameses II, all full of some of the best images one is ever likely to see in books. This book is a history of Egypt, using many images that have appeared in the earlier publications, but this time in a different, chronological context. The text is simple and takes an understandable second place to the large-format images of museum objects and monuments. If you already have all the other White Star books and some general history books of Egypt, then this book may not provide anything new for you, but if you are a beginner to the subject, then it is ideal and the text and images are sure to inspire. ISBN 978 88 544 0250 8. This large-format book looks at an important period of ancient Egyptian history that is often overlooked, or covered only in brief outline. 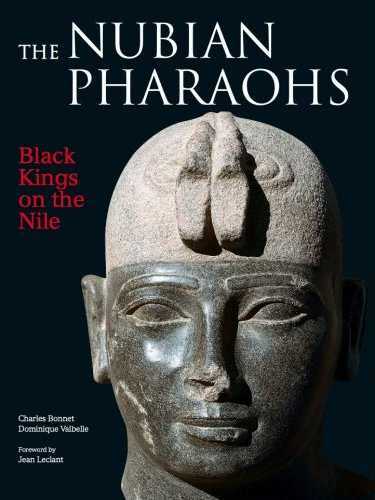 The main feature of the book is a close look at the recent discovery of several monumental black granite statues of rulers of Egypt’s Twentyfifth ‘Nubian’ Dynasty, which lasted for ninety years from 747 to 656 BC. The impressive and superbly carved statues, in a remarkable state of preservation, were found in a ditch within a temple by the University of Geneva’s Mission Archéologique in 2003 at a place called Doukki Gel, which is near the Third Cataract of the River Nile at ancient Kerma. The statues are all well illustrated in the book, and are shown at the time of their discovery and after restoration. (Many had been intentionally broken in pieces before their deliberate burial in a circular pit, but it was possible to reassemble them.) Two of the statues, of Pharaohs Taharqo and Tanutamun, the last two pharaohs of the dynasty, are real artistic masterpieces. The discovery of the statues aroused much interest. This book puts them into their historical and cultural context and helps to shed new light on this often-overlooked period of ancient Egyptian and Sudanese history. 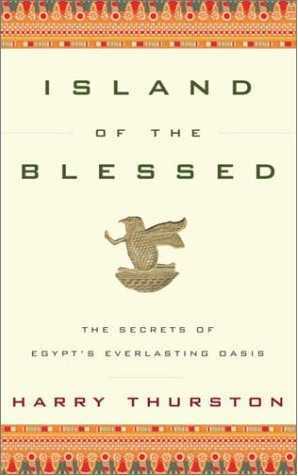 The history of Nubia and Sudan is often viewed from the Egyptian perspective, but this book makes it clear that, whilst the inhabitants lived on the edge of the Egyptian empire and were clearly influenced by it, they still remained in contact with the populations of central Africa and the Red Sea shoreline and this is reflected in their own unique culture. This is a well produced and superbly illustrated book and it fills gap in the more popular publications of this period of Egyptian/Nubian history. Published by The American University in Cairo Press, 2008. ISBN 978 977 416 010 3. Although it was published four years ago, it is only recently that I came across a copy of this book, my interest aroused because of the series of articles in AE on the Dakhleh Oasis Project. It might be easy to overlook this book, for the design of the cover, and even the title, give the impression that it might be a novel rather than a book of non-fiction; nor do the title or cover mention which oasis is described, or that the book is specifically about Dakhleh. This is a great shame, for this is a really fascinating book. Canadian science and environmental writer Harry Thurston travelled and worked with members of the Dakhleh Oasis Project. The author gives a remarkable insight into the work of the team and the discoveries they have made, written in a personal and easy-to-read style, completely unlike any formal excavation reports one might have read before. The Dakhleh Oasis Project has looked at the entire history of the oasis, from early fossil remains right through to the present time. From the pharaonic period and Graeco- Roman times, we have tombs, temples and towns and the project has been able, through its work, to reveal much about the importance of the oasis in antiquity. The book is also an adventure travelogue, revealing much about the life of the present inhabitants of the oasis as well as their ancient counterparts. My main criticism of the book is the great lack of photographs, for I really would like to have seen many more of the people and places mentioned in the text. Despite the lack of visual stimulation, this is a really enjoyable and informative read, and perhaps unlike any other book on the subject you may have read, combines history, archaeology, social and environmental history. This is a well written and compelling read, especially the author’s comments about how the people of the oasis should learn from their past and how that must affect their future environmental actions and decisions. Published by Doubleday Canada, 2003. ISBN 0 385 25969 7. To many, the period of the Late Eighteenth Dynasty is regarded as a time of peace and opulence, and to some a time when Akhenaten shut himself off from the world to worship his god the Aten and compose hymns and poetry. Nothing, it would seem, is further from the truth; this period was one where a strong king, skilled in the arts of war and with a well equipped and organised army was absolutely necessary for the survival of Egypt. This scenario is well described in this small, but well researched and surprisingly easy-to-read book, which looks in some detail at the complexities of military activity at the time and where the evidence for it can be found. Preliminary chapters look at the background to the reigns of Amenhotep III, Akhenaten and Tutankhamun, and, of necessity, cover a great deal of military activity in earlier reigns and dynasties. The authors also detail the weapons and tactics used and show how Egypt worked hard at trying to keep up with the standards of the military equipment of its enemies, but also how Egyptian weapons were improved and developed. Whilst it is not certain that the pharaohs actually led their armies, there is significant and clear evidence of major campaigns to the north and south of Egypt. Fragmentary war reliefs of Tutankhamun, as well as the famous painted chest found in his tomb, might indicate that he actually was present and took part in some of the campaigns. We certainly know that Horemheb was at the forefront of any military action, whether fighting with or for his pharaoh or later, when he was king himself, claiming the credit for campaigns waged under Tutankhamun. This is a tale, told well, of military might and also of international diplomacy, sometimes double-edged. It is a story of attempts to subdue and keep in line subject states around the natural borders of Egypt, but also one of internal control and politics. We learn of the harsh reality behind the riches and opulence of the last rulers of the Eighteenth Dynasty. 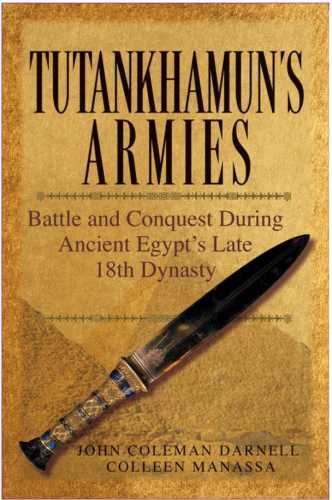 Tutankhamun’s Armies is an essential book for anyone interested in this period of Egyptian history and its key players, whose names we may know well, but whose lives and activities are sometimes obscured by misunderstanding and lack of hard evidence. Published by John Wiley & Sons, 2007. ISBN 978 0 471 74358 3.